Most probably will be released in cinemas on 15th May 2008 in Malaysia. C.S. Lewis’ timeless collection, “The Chronicles of Narnia”, continues the adventures of the Pevensie children in "The Chronicles of Narnia: Prince Caspian". Over a thousand years have passed in Narnian time since the disappearance of Kings Peter and Edmund, and Queens Susan and Lucy. The Golden Age of Narnia has become a part of history and the talking animals and mythical creatures have become little more than folk tales to the Telmarines, a race of humans that now rules the land. Even so, the Telmarines fear the eastern forests where the old Narnians, once loyal to Aslan, have been banished. Though his name is still remembered in the woods, the mighty lion has not been seen in a thousand years. In English time, one year after they returned from Narnia, the four Pevensie children (Peter, Susan, Edmund and Lucy) are waiting for a train in London when they are unexpectedly called back to Narnia. They have been summoned by Caspian, the young heir to the Telmarine throne, whose life is in danger from his evil uncle Miraz, who rules Narnia without mercy. Narnia’s storied past is vividly evoked for the children by the ancient ruins of their palace, Cair Paravel. After they rescue a brave dwarf named Trumpkin, the Pevensies learn of the dark times that have befallen their former kingdom, and they set out to join the prince in his quest. 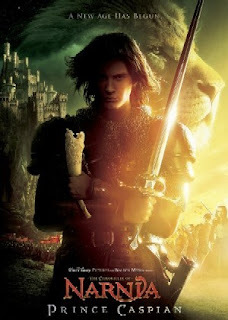 With the help of a courageous talking mouse named Reepicheep, the Narnians, led by Peter and Caspian, embark on a remarkable journey to find Aslan, rescue Narnia from Miraz’s tyrannical rule, and restore magic and glory to the land.